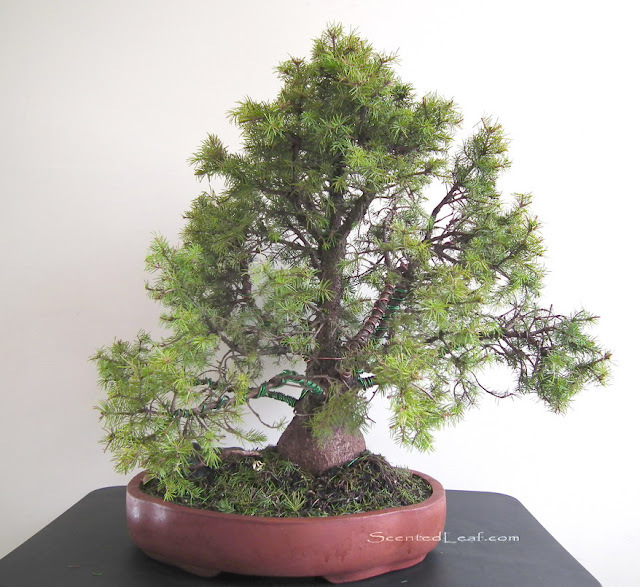 Another favorite bonsai of mine is a Dwarf Globe Spruce - Picea Pungens "Globosa" variety. This "fat guy" has more than 20 years old. It is a Picea Pungens Cultivar with green and very sharply pointed needles (nor blue, nor silvery), more appropriate with the original "Glauca Compacta", plant with a great value because is considered the oldest cultivar of Picea pungens. I'm happy because new shoots are visible of the branches. 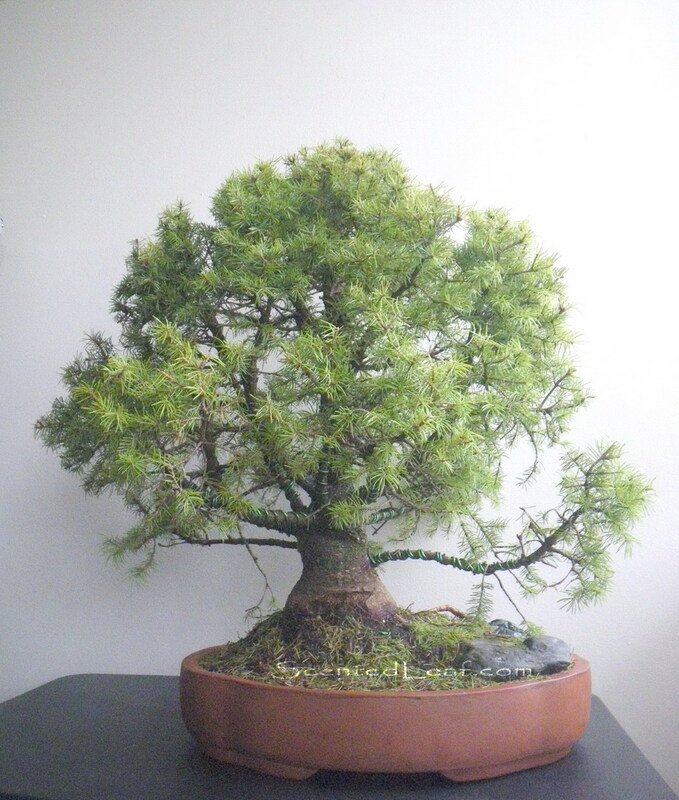 I give it time to mature and fill out into its full shape - meantime it was wired / re-wired and "determined" to became a Tachiki bonsai as it looks today. I'm very enthusiast about how evaluated over the years. 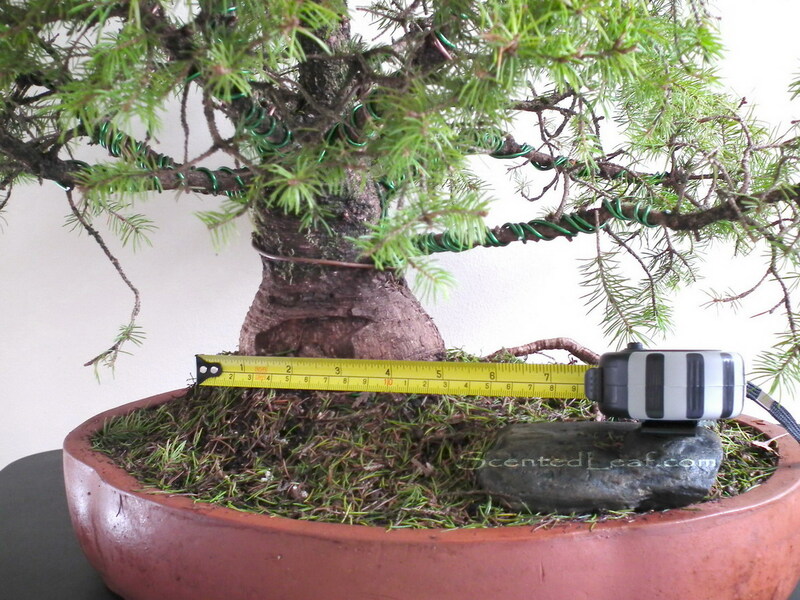 The dimensions are: its trunk has more than 10 cm wide (as you can see in next picture) and its high is almost 60 cm. The pot used last spring when was re-potted, is unglazed and has 8 cm high and 40 cm width. Most varieties of Dwarf Picea Pungens (Compacta, Globosa, Hunnewelliana, Moll, Donna’s Rainbow, Gloria, Saint Mary...) have rounded / mound shape with densely branches that looks good as bonsai or in miniature landscaping / rock gardens because of their short height. 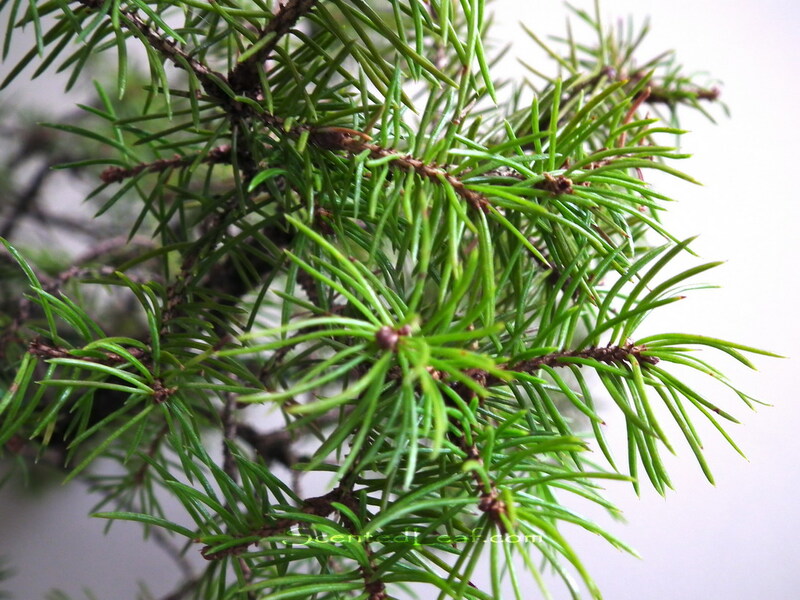 They are highly tolerant of urban pollution (Similar with Picea Glauca Conica varieties), more drought tolerant than other picea varieties (but remember never let your bonsai go totally dry) and will even thrive in city environments. Most of them grow at a slow rate: at the maturity if left untrimmed, growing around 8 feet tall. 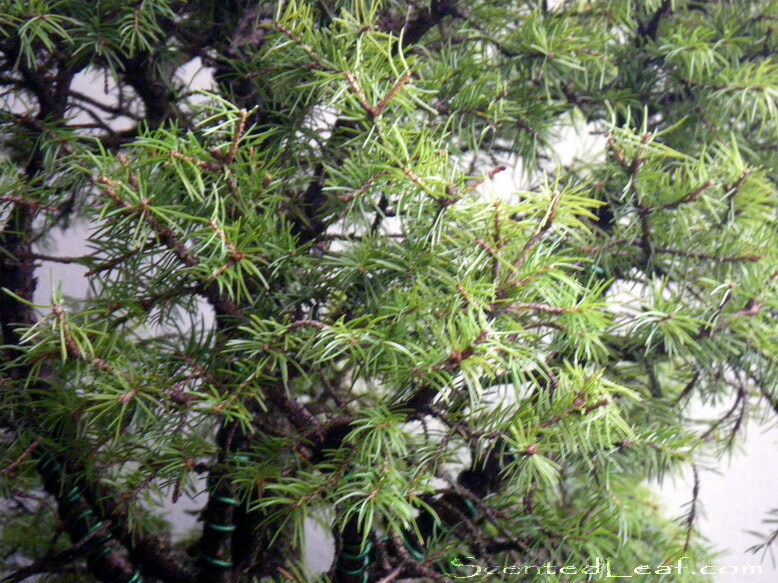 Usually they are multi-stemmed shrubs with a short period of life (around 60 years) comparing with other conifers. Thanks for being a part of Friendly Friday! I'm following you back through GFC. Have a wonderful weekend!